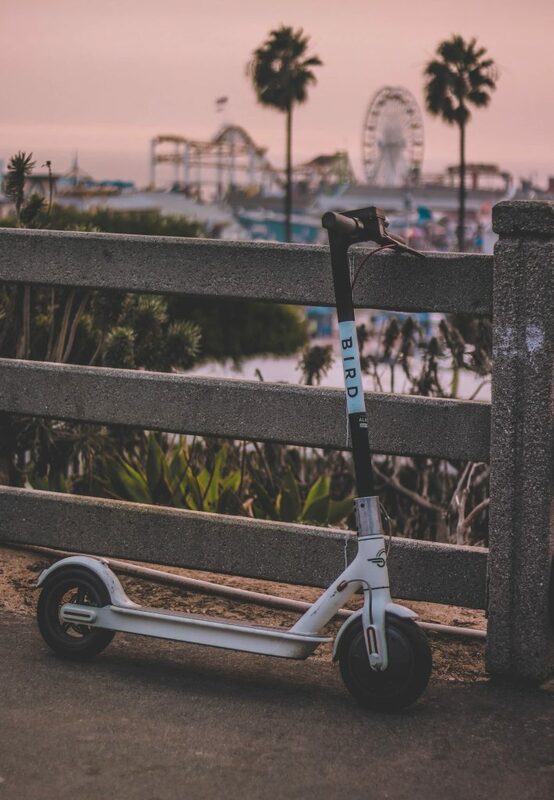 People seem to fall into only one of two camps on the subject of ride-sharing scooters which have popped up in every nook and cranny of the country, including our beautiful San Diego. Either folks are for them, it seems, or against them. Sadly, this largely uncontrolled craze has experienced a lot of negative press as well as a few deaths, which fuels the argument in favor of banning them altogether. If I remember American history correctly, people in general were strongly opposed to the “motor car” when they first hit the roads in the late 1800s due in large part to the noise, the nuisance, and the danger (people were splashed with mud by passing vehicles and startled – sometimes nearly killed – by careening carriages that seemed to come out of nowhere). Until the 1920s traffic and automobile safety standards were inconsistent. For an interesting read on the history of traffic laws click here. Yes, that’s bling on my helmet! 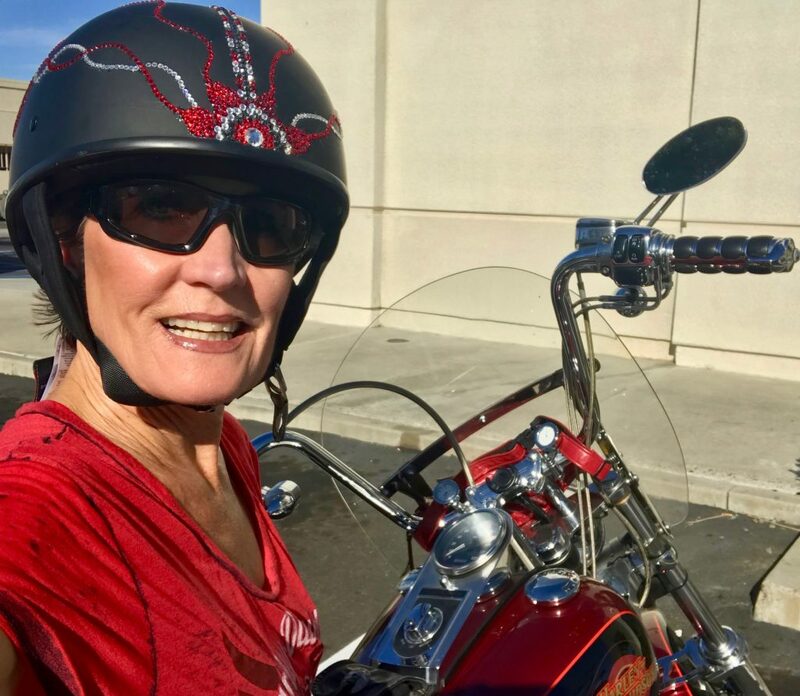 I believe that all scooters (whether ride-share or individually owned) and their riders should be required to follow the same laws as those set forth for motorcycle drivers and passengers. The only difference between the two – motorcycles and scooters – is size and in most cases, speed. And as we’ve seen lately, scooters can go fast enough to kill its rider(s). Here is another compelling comparison: Motorcycles are not allowed to be operated on sidewalks and boardwalks for obvious safety reasons. Why are scooters allowed there? The risk of peril for pedestrians and riders is the same, is it not? We must be consistent and thoughtful in the way we regulate this wonderful “new” form of transportation. If we allow scooters to be operated on roadways with other motorized vehicles, the equipment requirements should be similar, and the driver requirements of helmet and safety goggles should be enforced. If we allow scooters only on sidewalks, and boardwalks (i.e. “off road”) then scooters should be limited to a very slow speed and must feature some sort of bell or horn that alerts pedestrians as to its presence when in operation. This is my opinion. I invite your thoughtful comments. For this, or anything about San Diego, San Diego County, the experience of living in this awesome area, or our terrific real estate options, contact me!